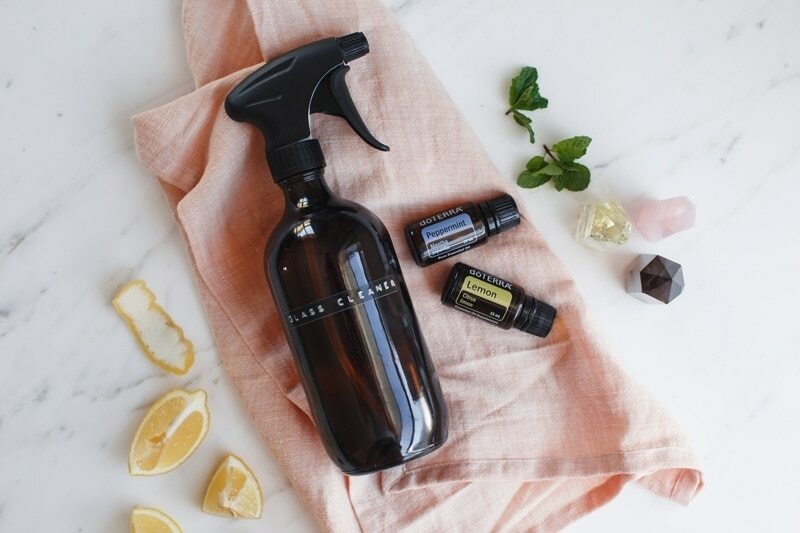 4 ingredient, non-streak DIY Glass Cleaner with essential oils – and it smells divine! 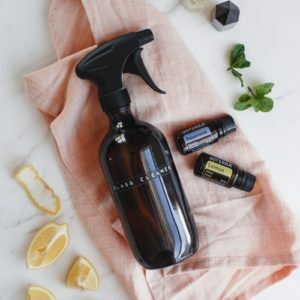 Welcome to the second post in my DIY non-tox cleaning series! We have a few sensitive peeps in our family! If I use a chemical-based product to clean the showers – my partner knows about it! His feet burn and turn visibly red, even after I’ve taken care to rinse, and rinse, and rinse. 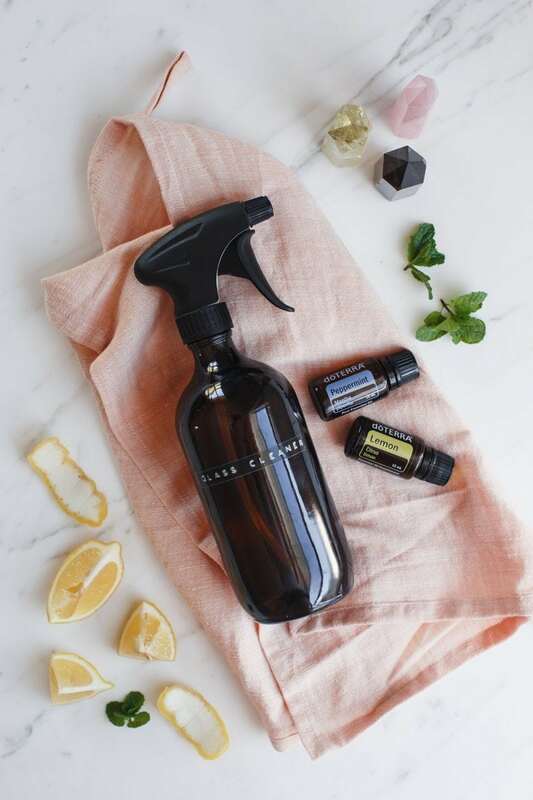 If you are one of the sensitive types like him, then the good news is, you may notice a BIG difference after switching out all your cleaning products for gentle, natural alternatives. Cool right? So, what have we got in our DIY Glass Cleaner today? Rubbing alcohol (isopropyl alcohol): this is what makes our glass cleaner streak free – it will evaporate almost instantly without leaving any marks. Great sanitiser. A quick costing in New Zealand dollars, excluding the cost of the glass trigger bottle because of course, you’ll be re-using it (mine was $7). Total: $3.88 for just over 500ml. I use and recommend doTERRA essential oils due to their outstanding quality and potency. The best way to purchase them for yourself, is to open a wholesale account through me. This ensures you receive 25% off retail pricing, while getting them conveniently delivered to your door. There is an option to receive further discounts and benefits if you were to take part in their loyalty rewards programme (a bit like a frequent flyer programme – earning points with purchases to redeem on products, with no joining or cancellation fee). Opening an account is like opening the door into a whole new world of natural health. 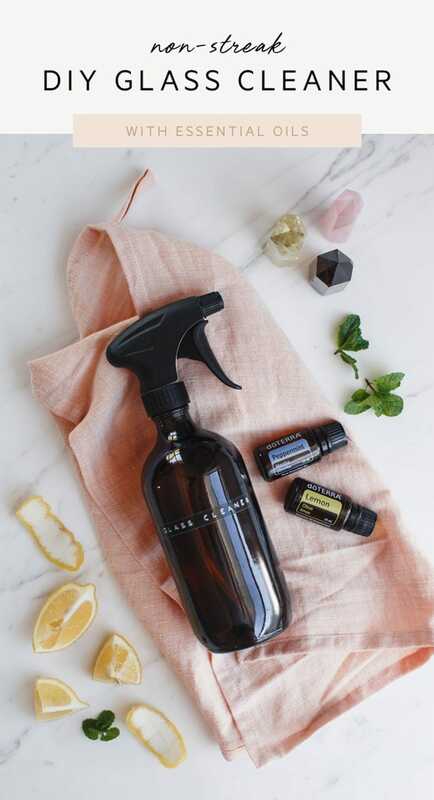 You’ll not only have your amazing oils (yay! ), you’ll also get me as your oils support person, with plenty of continued education and inspiration. To join, follow my instructions here, or book a Skype chat if you’d like to know more. Add all ingredients to your glass trigger bottle (a funnel may come in handy), screw on the lid, shake well. Spray over glass surfaces and wipe off with a microfibre cloth.